Sugar is ingested and passes from the stomach to the small intestine for digestion and absorption. Undigested residue (and NO sugar!) arrive in the colon 1-3 hours after indigestion, where billions of naturally occurring bacteria further digest and ferment the residual waste. This natural, low level fermentation can produce both Hydrogen and/or Methane and is responsible for the wind that everyone experiences and is a healthy part of digestion. Bacterial fermentation is the only way Hydrogen and Methane are produced inside of the human body and a small amount of these gasses are absorbed by the colon into the blood stream. The blood circulates to the lungs which release a small amount of Hydrogen and Methane into the breath where it can be measured by our sensitive instruments. Perhaps surprisingly, these gasses are odourless and colourless and do not cause halitosis or bad breath. Undigested residues including a significant amount of sugar arrives in the colon where billions of naturally occurring bacteria feast on the sugar which leads to excessive fermentation. This causes large amounts of Hydrogen and/or Methane gas to be produced which can lead to a combination of symptoms including bloating, cramping pain, nausea, excessive wind and/or diarrhoea. Some hydrogen and methane is absorbed into the blood by the colon. The blood circulates ton the lungs, where the lungs release the Hydrogen and Methane into the breath where it can be measured by our sensitive instruments. Testing requires providing a breath sample before ingesting the target sugar, and then again every fifteen minutes for approximately 2-4 hours (as guided by your Orocaecal Transit Time-see “Lactulose”)Once diagnosed, treatment is usually successful and requires the dietary exclusion of the offending sugar(s). Owing to the many foods that contain these sugars, and to ensure you’re able to maintain a healthy and balanced diet, we recommend seeing an Accredited Practising Dietitian. Lactulose is ingested and passes from the stomach to the small intestine for digestion and absorption. The small intestine is unable to digest or absorb the lactulose within the small intestine.If abnormally high levels if bacteria are present within the small intestine, some fermentation may occur earlier than expected, which is detectable by our instruments. If present, this suggests Small Intestinal Bacterial Overgrowth or SIBO. If you have SIBO, it can interfere with the results of other carbohydrate tests, including lactulose, fructose or sorbitol. Confirmatory testing is best done with the glucose testing. Undigested residues, including the lactulose arrives in the colon where billions of naturally occurring bacteria feast on the sugar which leads to fermentation. This creates measurable amounts of Hydrogen and/or Methane gas to be produced, some of which absorbed into the blood by the colon. When measured by Breath Testing, this is seen as a large peak in Hydrogen and Methane concentration and is referred to as the “Colonic Peak”.Owning to fermentation, this test may cause some bloating, cramping, flatulence and/or loose bowel motions. These symptoms are typically mild and transient. 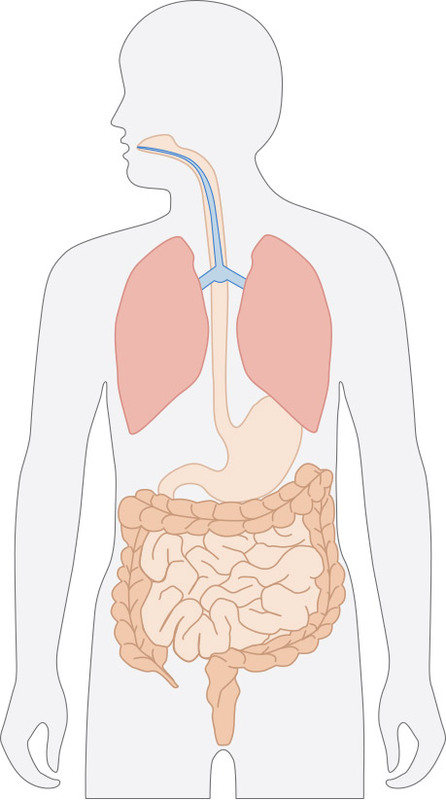 The blood circulates to the lungs which release the Hydrogen and Methane into the breath where it can be measured by our sensitive instruments.Testing requires providing a breath sample before ingesting the lactulose and then again every fifteen minutes for approximately 2-3 hours or until the detection of the colonic peak. The time between ingestion of the lactulose and the colonic peak allows us to determine the“Orocaecal Transit Time”- a measure of the speed of the stomach & the small intestine and allows us to calibrate any other carbohydrate tests. Sugar (glucose) is ingested and passes from the stomach to the small intestine for digestion and absorption. Excessive amounts of bacteria within the small intestine ferment the sugars before the body has the opportunity to absorb it. This fermentation causes Hydrogen and/or Methane to be produced which in turn can cause abdominal bloating, cramping, flatulence and diarrhoea. Excessive bacteria in the small intestine can also cause damage to its lining and can further lead to malabsorption of other nutrients, vitamins and minerals.Avoiding dietary sugars does not fix SIBO and it requires tailored treatment with antibiotics under medical supervision. Any undigested residues (which may include sugars) passes to the colon where billions of naturally occurring bacteria further digest and ferment the residual waste. This produces further Hydrogen and / or Methane which may add to the symptoms of cramping pain, bloating, flatulence and diarrhoea. A small amount of these gasses are again absorbed by the colon into the blood stream. The blood circulates to the lungs which release the Hydrogen and Methane into the breath where it can be measured by our sensitive instruments. Testing requires providing a breath sample before ingesting the lactulose and then again every fifteen minutes for approximately 2-3 hours or until the detection of the colonic peak. The time between ingestion of the lactulose and the colonic peak allows us to determine the “Orocaecal Transit Time”- a measure of the speed of the stomach & the small intestine and allows us to calibrate any other carbohydrate tests.